“Legally terminate credit card debt! You can be debt-free in 4-6 months!” Advertisements like this are for a scam program that has been around for many years. It goes by many names, but I call it “Credit Card Debt Termination,” and victims are paying thousands for this bogus service. In this article, I’ll review the principles behind this program and explain exactly why it’s a scam to be avoided. First, let’s get our definitions straight. The scheme I’m describing here should not be confused with Debt Consolidation or Debt Settlement (also known as Debt Negotiation), both of which are legitimate and ethical methods for debt resolution. The easiest way to distinguish the Credit Card Debt Termination scam from other valid programs is based on the central claim that you really don’t owe any money! With Debt Consolidation, you pay back all of your debt balances. With Debt Settlement, you pay back a lower amount (usually around 50% or less) while the creditor agrees to forgive the remaining balance. However, with the bogus Credit Card Debt Termination program, promoters claim that you won’t need to pay anything at all (except their outrageous fees, naturally). They make the surprising claim that you can legally wipe away your debts simply by using their super-duper magic documents. Based on some legal mumbo-jumbo, the claim is made that you really didn’t borrow any money from your creditors! 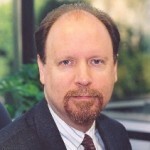 Consultations offered by Charles J. Phelan. Get affordable professional advice on dealing with collection agencies, settling debts, and much more! Click here to see the full range of consultations available. Stay with me here, because the logic is pretty strange. If a bank cannot lend its own money, how does a credit card bank extend credit? The claim here is that your credit card agreement itself becomes a form of money (known as a promissory note) the moment you sign it. The idea is that the bank “deposits” your agreement as an asset on their books, and then any credit you use is offset as a liability against that asset. In other words, the core concept here is that you literally borrowed your own money from the credit card bank. So let’s say your balance with ABC Credit Card Bank is $10,000, which you borrowed against the card to make everyday purchases. The scam promoters say all you need to do is notify the bank that you want your original “deposit” back. However, you will permit the bank to offset the amount you borrowed against the amount you have on “deposit.” Presto! You don’t owe the balance anymore! Now, as you can imagine, the banks don’t take kindly to such tactics. Many of the consumers using this technique are getting sued by their creditors. But the scammers have more tricks available, as if the “smoke and mirrors” financial nonsense wasn’t enough. One of their techniques is the use of bogus “arbitration” forums. Arbitration is of course a legitimate system that allows businesses and individuals to resolve disputes without going to court. What do the scammers do? They coach people on how to set up a fake arbitration forum, for the express purpose of making a dispute against their creditors! Naturally, the creditors will not send representatives to some non-existent arbitration forum, so the consumer gets to rubber-stamp their own arbitration award. If they get sued in a regular court, they present their bogus award to the judge in the hopes that the creditor’s lawsuit will be dismissed. There are other techniques used by promoters of this scheme, but the key point to remember is the central claim that your credit card debt does not really exist. Of course, it’s all nonsense based on a misinterpretation of our monetary system, and if you step back and think about for a minute, the truth seems pretty obvious. What these scammers are saying is that the entire $800 billion credit card industry is operating on an illegal basis! Even if the legal theory used by the promoters were true (which it isn’t), do you think for a moment the government would allow this giant industry to go under? That’s exactly what would happen if the promoter’s claims were proven true and used on a widespread basis. If you are approached by someone offering to wipe away your debts using this system, I strongly recommend you run in the other direction while you hold on tightly to your wallet or purse. Remember, you can eliminate your debts if you take a disciplined approach to your finances, make a budget and stick to it, and don’t use your credit cards unless you can pay off new balances in full each month. ZipDebt has been in business for over a decade and has helped settle millions of dollars and debts with our clients. 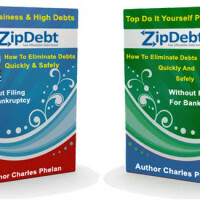 The hundreds of debt settlement success testimonials we have received are proof that ZipDebt’s Do It Yourself Debt Settlement Program really works! There are no shortage of scams that prey on people when they are most vulnerable financially. It takes hard work, dedication, determination, and experience to be successful in this industry, which is precisely why a majority of traditional debt settlement companies do not carry A+ ratings with the Better Business Bureau!